Irish people can’t get enough of the auld instrumental these days. Without name checking a bunch, let’s just say the market is quickly becoming one of the most loved on the underground scene, even beating the Def Leppard Retro Revival Coven Tickets There started well over five years ago. These things are a fad of course while Def Leppard is forever, bow down. Anyways, since ‘the world’ is pressuring us to continue taking about what’s ‘in’, we thought you might like to hear about Alarmist, an up and coming instrumental band from Dublin. So far we’ve only heard two tunes and already we’re hearing a distinction in their music not duplicated from the others currently making names for themselves. For fans of Chequerboard and The Rednecks, these guys are for you. Well orchestrated music delivered with excitement and excellent playing ability. Not convinced with Giraffe Centre ? (I know, but thinking of quality names is harder these days), then the ending of Vitamin Saturday (really hard) will sell it to ya. The band aren’t heavy, but they’re also not so devoid of sound that’d you fall asleep buying their album. Very nice from a new crowd and one we’ll be revisiting once they get a few more finalized tracks together. Check them out when they play The Workman’s Club, Thursday November 25th. 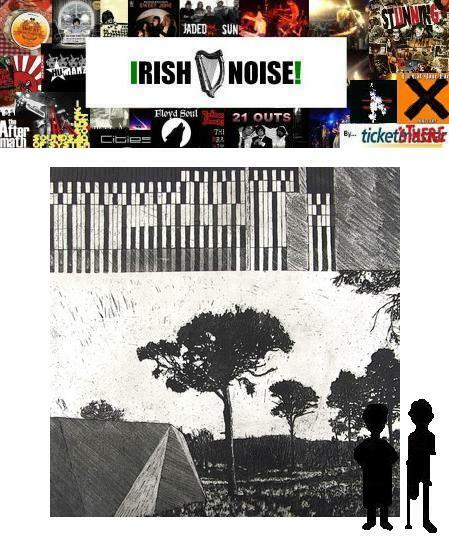 This entry was posted on November 19, 2010 at 4:20 pm and is filed under IRISH NOISE!, Music with tags Alarmist, Chequerboard, Giraffe Centre, The Redneck Manifesto, Vitamin Saturday. You can follow any responses to this entry through the RSS 2.0 feed. You can leave a response, or trackback from your own site.